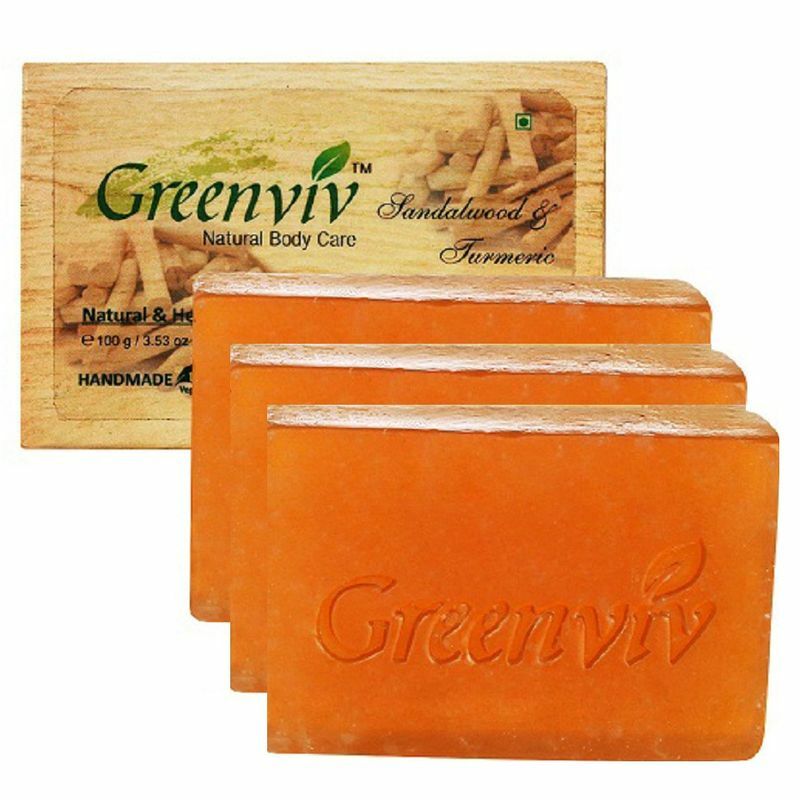 Pamper your skin with Greenviv Natural Sandalwood & Turmeric Soap which is pure and gentle on the skin. With the presence of harsh weather on your skin and the constant usage of cosmetics, a daily deep cleanse is exactly what your face needs. This soap bar moisturizes your skin and gives it a soft and supple feel. The soft lather and mild fragrance makes this soap bar ideal for everyone. The formulation reaches deep into the skin, pores and nourishes the skin, featuring excellent cleansing properties that eliminate dirt and skin impurities, thus giving you radiant looking skin. Furthermore, this soap does not strip the natural oils of your skin making it a top choice for all.